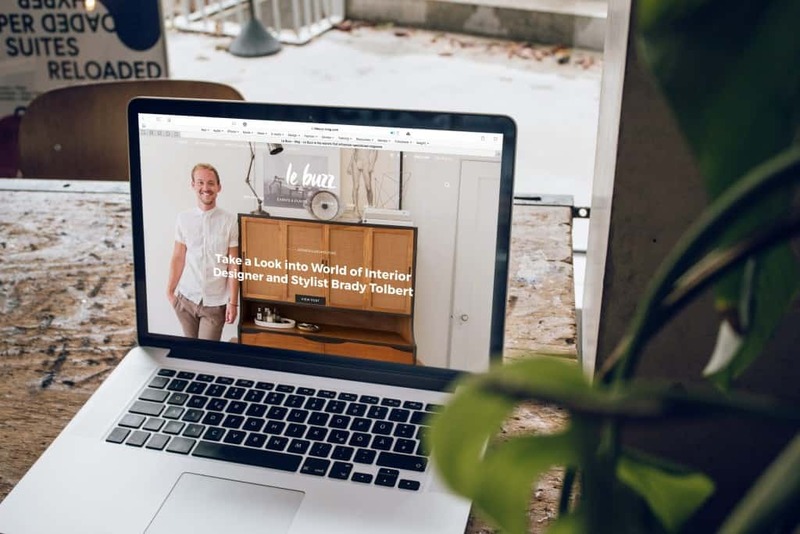 If you are fundamentally changing the appearance of your company’s website, there are few things to consider when it comes to what it should achieve for both your business and the customers visiting it. Primarily, it should serve your business needs as well as your customers’ queries at the highest possible standard. With that in mind, here are some top points to consider. If you are truly a start-up business, then the first thing to put across is not just your mission statement, but your personality. A company’s personality should be clearly seen through their imagery, branding, and tone. A website is the perfect way to showcase all of this, as well as providing plenty of information about everything you have to offer. Devoting a page to some key facts about your team will show customers and prospective clients alike that you’re interested in getting to know anyone who is interested in working with you. Google Analytics: Google keeps all users anonymous but collects their data to create a bigger picture of online engagement. Any other insights you gain about their socioeconomic standing or demographic comes from Google’s data, not yours. Marketing automation: Users fill out a form on your website, and their user information goes back to your marketing automation platform data. This generates a social profile of each in your database, and you can then track how each individual interacts with your marketing platforms. What’s more, using a digital marketing strategy to target specific areas, such as professional China marketing, should help focus on the particular demographic of your audience. CRM: This handy feature keeps track of customer details such as their email, telephone, and social media profiles. It also keeps track of recent news about the company’s activity, and it can store details in order to track the progress of interactions over time and provide better customer service in the long-run. If your industry or service might require some extra information to answer any obvious questions, then pre-empting this will not only give you a voice of authority but also immediately satisfy customers who are looking for an answer. Whether you devote a page to FAQs or invest in a chatbot instead of a customer service team, you will already take priority over other companies who have failed to improve their customer engagement. No man should be an island, and nor should their website! As well as link building to improve your search engine rankings, you should also link to other platforms where people can find you. Showing customers and clients where to find you on LinkedIn, Facebook and Twitter helps build followers and customer engagement. While a website is a good platform to give the full picture on what your company has to offer, social media is a way of allowing customers and the online community to do some of the advertising for you by liking and sharing your pages. On top of this, it means you’re much more likely to generate reviews and participation, giving your company’s profiles an active community. Encouraging reviews might seem a frightening premise, but if you’re confident in the service you’re providing, then there may just be plenty of happy customers who will speak highly of you on these platforms. While it’s useful to get a sense of what other companies in your industry are publishing on their websites, it’s always a good idea to make sure that the content you produce is original. Publishing generic content that can be sourced on multiple sites doesn’t give visitors an incentive to keep reading or share links to your site. What is classed as high-quality content also comes down to your SEO techniques. While it is still essential to linkbuild and use commonly searched-for keywords, you also need to stay in Google’s good books. The search engine giant recently clamped down on those who linkbuild for the sake of doing so by filtering out any sites it deemed untrustworthy from the top results. So, with that in mind, what are some recommended ways to keep your content of high quality? Ensure your writing is targeted at human, interested readers – not for the sake of search engines. Keep it accurate and reliable; deceiving users by linking them to unrelated or outdated sites will be picked up on. Don’t overload your website with too many SEO techniques. What makes your company unique and what do they have to offer? Bearing this in mind will ensure that your website stands out from others in your field. Nowadays, websites aren’t just for desktop computers. While your website might be intended for people who are reading at home, that doesn’t necessarily mean that’s how they’re accessing your information. Today people read online content not just on desktop computers and on laptops, but also on tablets and mobile phones. Ensuring that your website opens effectively on all mobile phone formats and all tablet formats mean that visitors won’t close down your website window in search of a page that will load properly. On top of this, it is recommended that you not only ensure that your website operates properly on all devices, but also on all internet browsers. It’s said that it has an adverse impact on your company’s branding if it cannot perform to the same ability on everything including Google Chrome, Internet Explorer, Firefox, Safari, and Opera. Ensuring this kind of optimization is often left as an afterthought. A company website shouldn’t just be a static advertisement for what your business does. It should not only explain what you do but play an active role in keeping customers and clients interested in your work. If you can answer some questions in the process, then you’re likely to create trust and loyalty among those you decide to revisit your website in the future.